In the deepest south of Italy, there is an area called Salento where tamborines play a very ancient rhythm named Pizzica. This is the music that, until 1960’s, was used to heal Taranta’s (a venomous spider) bite. Still today, the population plays and dances Pizzica during the village festival. 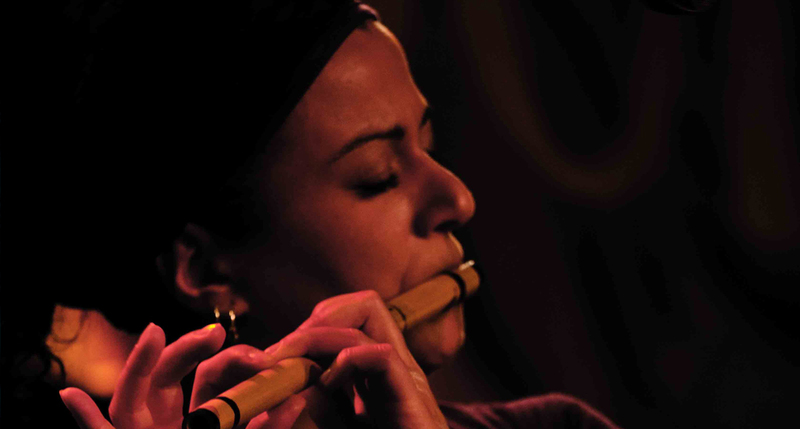 This music has charmed and communicated to all the people who, passing through this country, have heard it – also musicians, like Joe Zawinul and Stewart Copeland (The Police’s legendary drummer), descended on Salento attending to “La Notte della Taranta” Festival. In fact, the meeting with Pizzica has ever left indifferent, because the persistent crescendo of tambourines’ beats goes straight to heart. Hearing and dancing Pizzica one could disclose unknown aspects of the self and summon all extraordinary natural energy. A millenary deposited energy, that is “reopened” during the performance. Officina Zoè is the most know italian musical group of “pizzica tarantata”, an exciting rhythm from Salento Area in the deepest south of Italy. Since 1993 Officina Zoé has one of the groups to propose with most strength the musical traditions of the Salento area, especially the Pizzica, this ancestral rhythm of Salento soul: exciting and touching, therapeutic and hilarious, From immemorial time pizzica explodes in its absorbing hypnotic expression. A frenzy that induces dance and obsessive movement, so much so that it was used in the past as a trance vehicle or even as a therapeutical source. 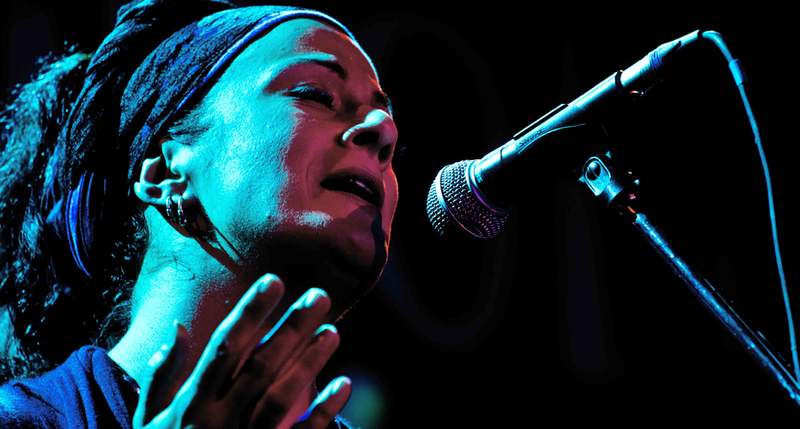 one of the stronger elements in the musical rebirth of the whole of Southern Italy. If the young black people from the urban ghettos narrate, with the help of rap, the poverty and the rage, the Salentinians, from time immemorial, express their feelings and passions by beating the tambourine and by dancing the “pizzica”, until they fall into a trance. It’s purpose is not only expressive, but also communicative. It’s a courting dance. For this reason, beyond any interpretation, it is enough to listen to the music, to abandon oneself to its movement, to come up against this force, this uncommon musical energy. The rhythm of the Pizzica is of central and fundamental importance to the history of Officina Zoè. 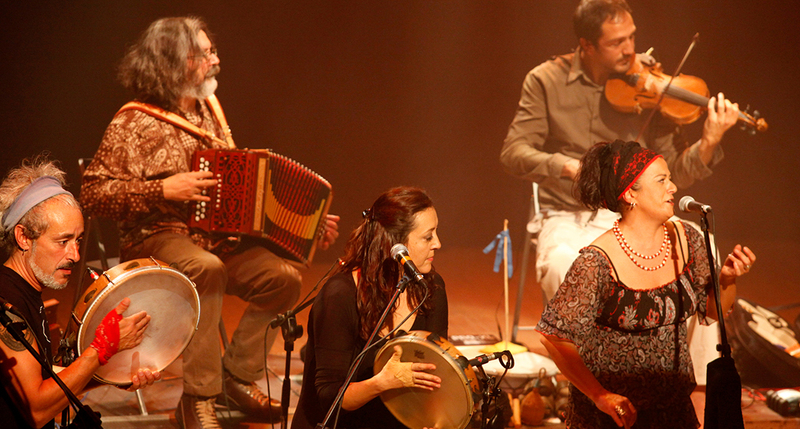 “Beating” the pizzica tambourine (“to beat” on the pizzica,or “sting”) represents a decisive, profound, and sometimes painful experience for the group. In the joyful but tragic obsession of that movement, in the blood produced by the furious and unending repetition of percussion with the hand, is the difficult and surprising path of cultural possession, which is also the rediscovery of a submerged, forgotten identity. Officina Zoé starts in the early ‘90s. It soon sparked off the revival of the Pizzica-Pizzica, one of the oldest and most fascinating /vibrant types of rhythm and traditional dancing in Salento. Today Officina Zoe is the most popular expression of the Pizzica and Taranta also thanks to the film director Edoardo Winspeare’s successful movies “Sangue Vivo”(Fresh blood) and “Il Miracolo”(The miracle “) featuring Probo as an actor as well as Pisanello and Marzo as soundtracks writers. Their soundtrack won them the prestigious award of Grolla d’Oro at the Saint Vincent Festival as well as the nomination at Nastro Argento. 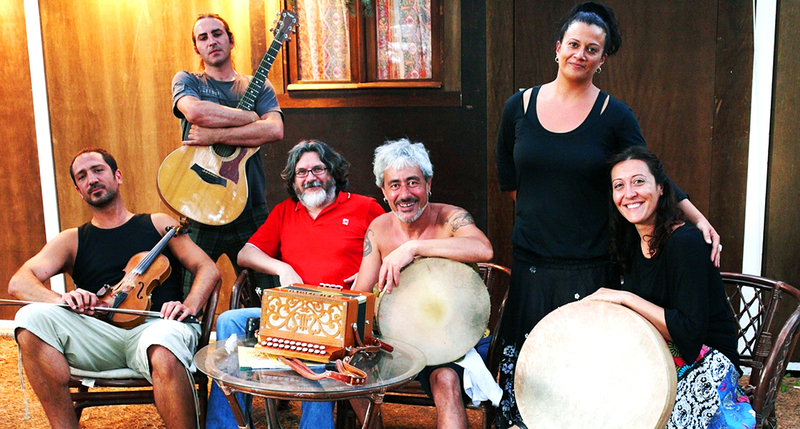 Officina Zoe have not only triggered off the revival of Pizzica, they have also broadened its repertoire of songs and music gallery with their original tracks which preserve the spirit of social dance in its traditional forms. This is why they are rightly seen as the “healthy carriers” of an old style which still thrives and continously changes. Officina Zoe today pride themselves in taking part in the most important national and international music events, such as Womex in Berlin, the Festival In Villa Ada in Rome (where they have taken part for 10 editions), the Premio Tenco in Sanremo, Womad of Peter Gabriel in Palermo, the Festival “I suoni delle Dolomiti” in Trentino, and music essay “Voix de femmes” in Brussels, just to name a few. Thanks to Officina Zoe the Pizzica dance has become popular in all the European capitals since before the “taranta-mania” boom). Its popularity has stretched further beyond Union borders, landing in the States (Los Angeles,1998), in Korea (Tour 2006: Seoul and Nami Island) and even in Japan (Tour 2007: Auditoriun Tokyo, Auditorium Kyoto, Nagoya). The Tour in Japan has been captured on the live album “Live in Japan” recorded between Tokio and Kyoto, consisting of some great lyrics which better reflect the history of the band . The album also contains some of their unpublished lyrics. 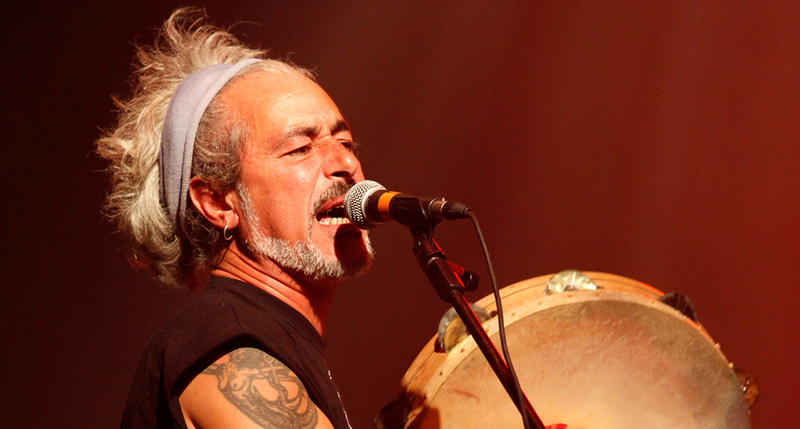 The 2009 produced the CD “Maledetti guai”: the suggestion of the indissoluble marriage between contemporaneity and references of tradition, and still feel rooted in the depths of his soul musicians. 2011 brings 2 great collaboration: with turkish DJ Mercan Dede, in a concert in the Notte della Taranta Festival, where the Tradition meets the elecrronic Music, and with African big musicians: Baba Sissoko (Mali), Mamani Keita (Mali) and Sourakata Dioubate (Guinea), in the project Black Taranta. A very deep groove: people look very fascinating for that mix between Italian trance music and Malian trance music. In 2012 there is the production af a CD work for the “Taranta Nera Project” with succesfully performances in Paris, Rome, Aosta and others. … and so on ….